Oh, My, I love beef ribs. This is in my opinion my very best recipe. It's a Memphis style dry rub with a vinegar mop and dipping sauce. 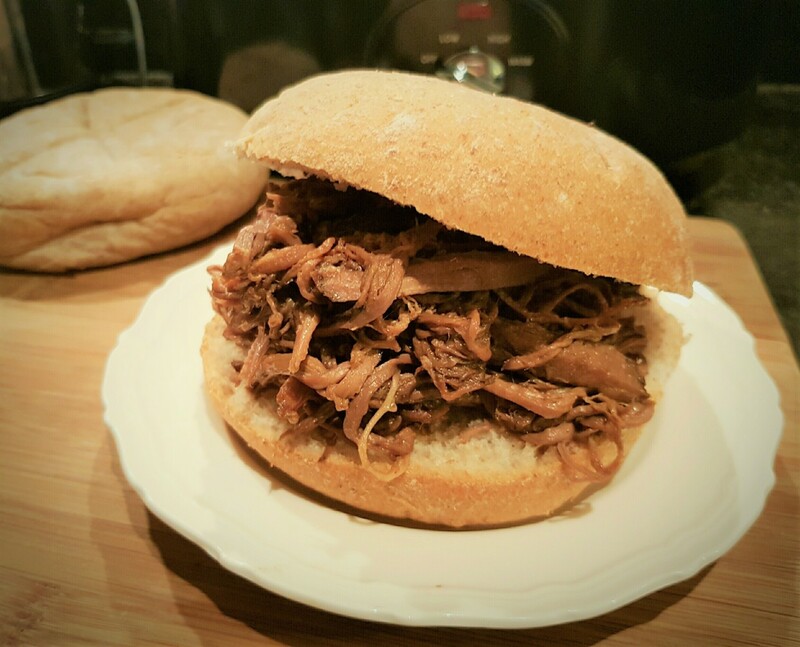 Many of my recipes are heavily influenced by pit masters. This one is a modification of Steven Raichlen's Beef Ribs from his How to Grill book. It's a bit more intricate than my basic beef rib recipe. 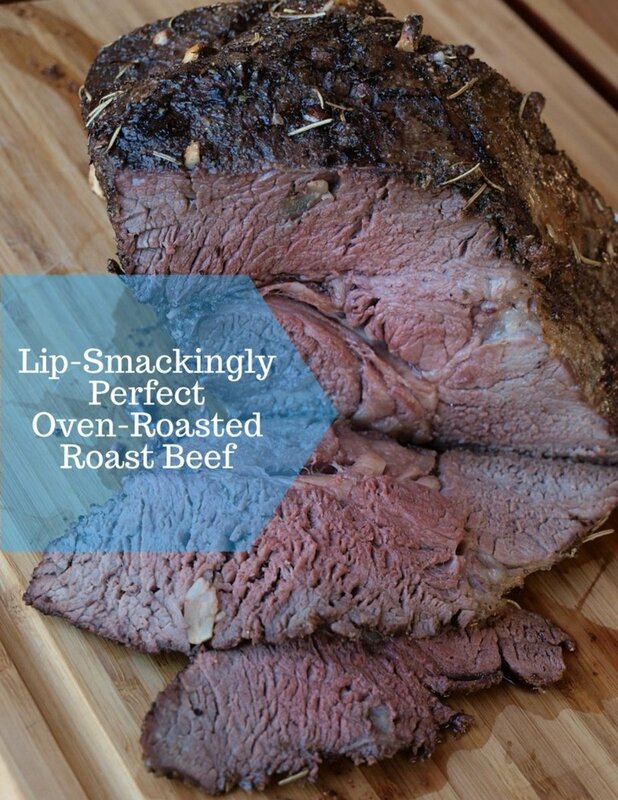 This recipe is so good it can be used on beef tenderloin, rib roasts and even pork ribs. 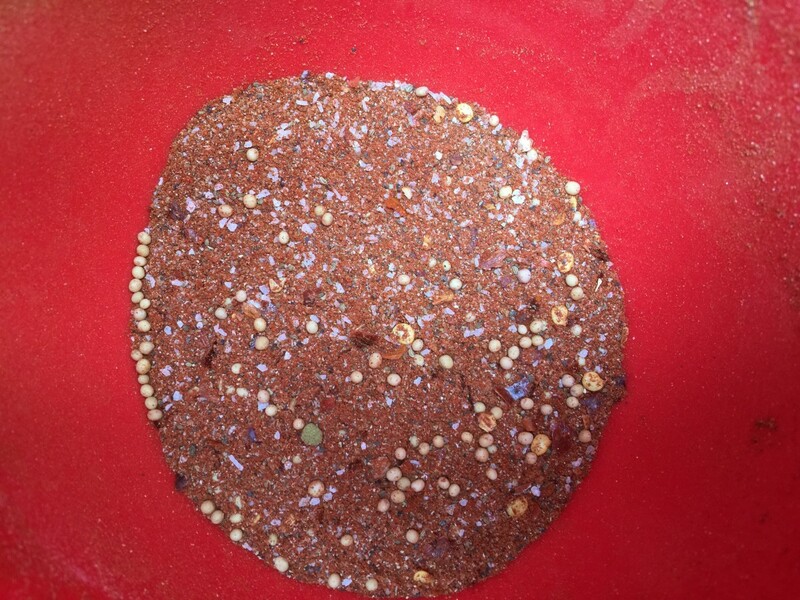 Mix all the ingredients in a small bowl. 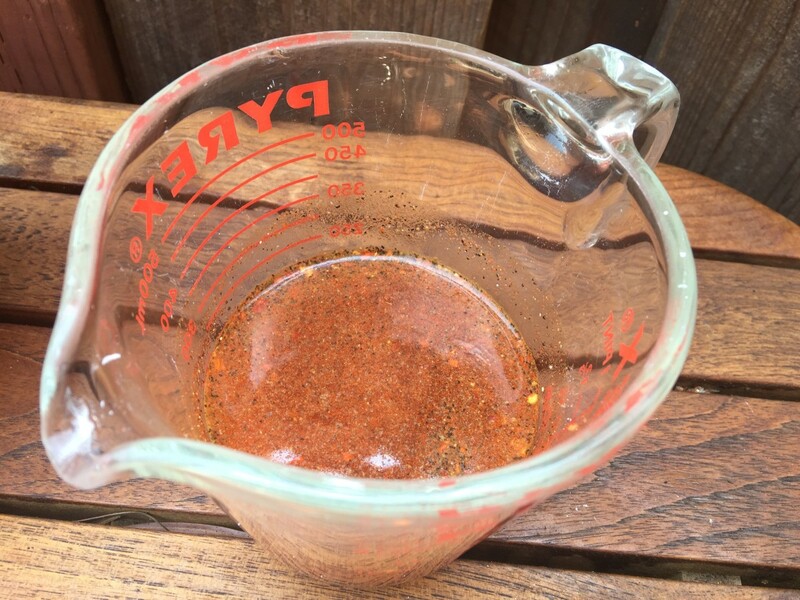 Set aside two tablespoons of the rub for the vinegar sauce. 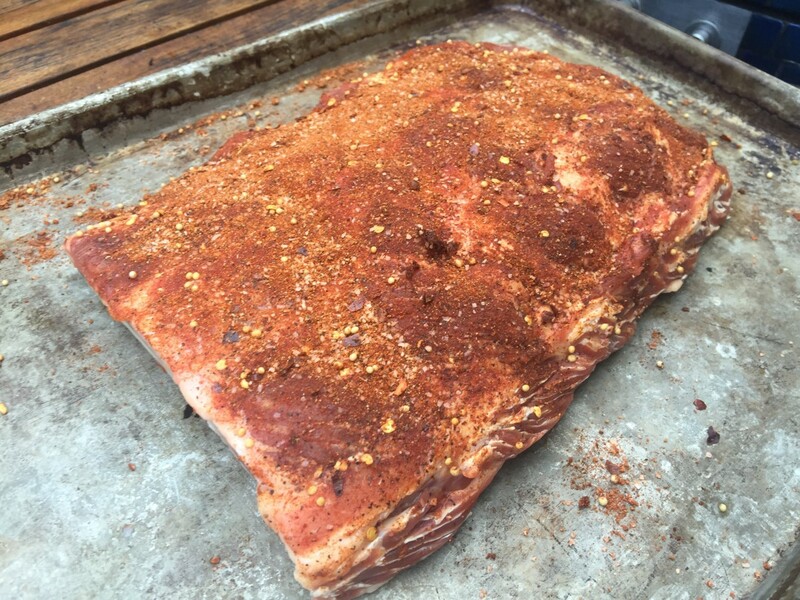 Sprinkle about 1 teaspoon of rub on the bone side for every four ribs. 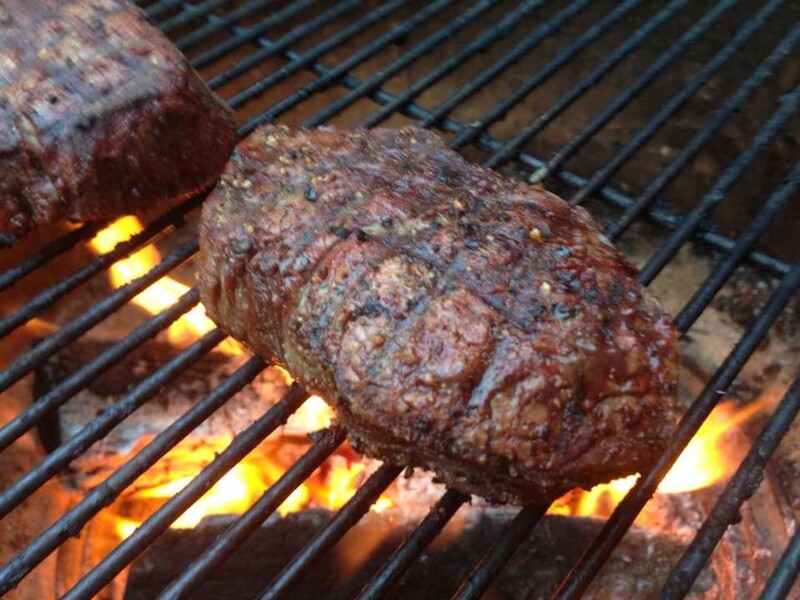 Work the rub into the meat with your hands. Then flip the meat side over and sprinkle about 2 teaspoons of rub on the meat side and work it into the meat. The ribs should look well seasoned. Set up our gas or charcoal grill for indirect heat. Beef ribs are fatty. If you put the ribs over direct heat, you'll likely have flareups and burn the ribs. Add some smoking chips by either adding them to your BBQ's chip holder, or soak some chips in water for 30 minutes and then wrap them in tinfoil, poke some small holes in them. If you're smoking the ribs on a Big Green Egg, or another Kamado style grill, add the charcoal and smoking chips. Set the temperature of the the grill to 250 degrees. 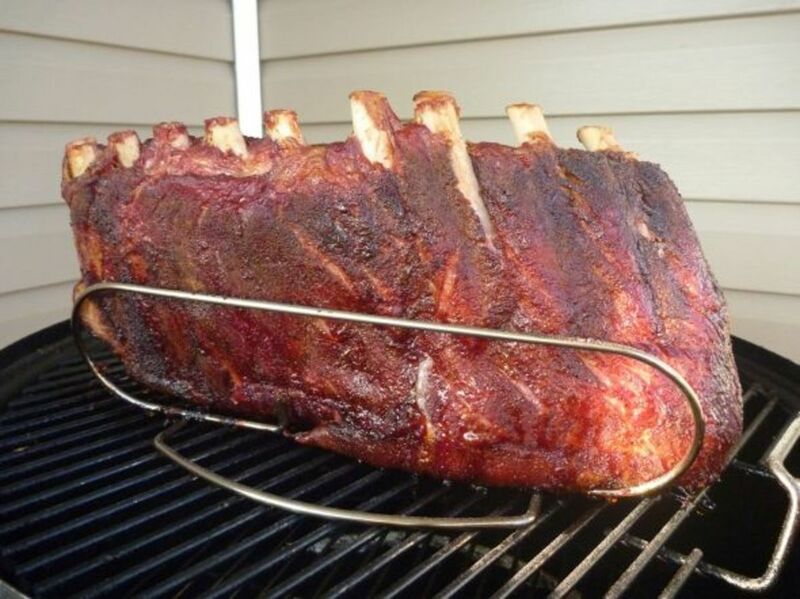 I prefer to use a rib rack that holds the ribs on their edge. During the cook, I rotate and flip the ribs twice so each side is touching the grill the same amount of time. I've been using coffee wood chips for smoke, but hickory or apple also work really well. Take the rub that was set aside and mix it with additional salt and vinegar. Lightly baste the rubs after 1 1/2 hours on the grill. 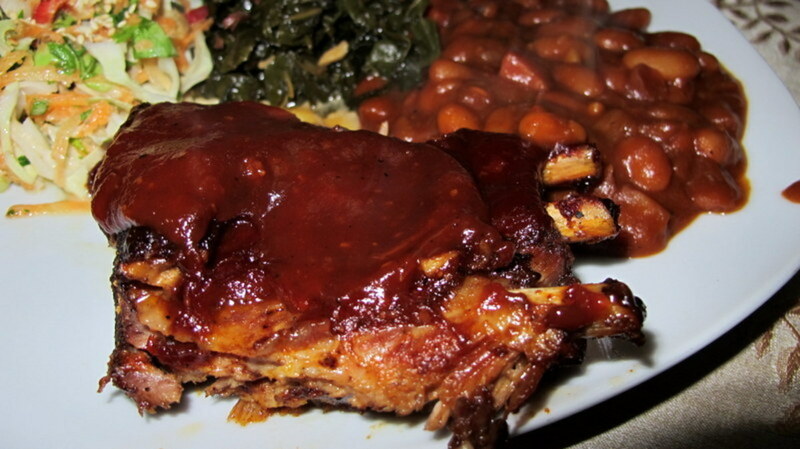 Save a little mop sauce to lightly baste after the ribs are fully cooked and sliced. Smoke the ribs at 250 Degrees for 2 to 2 1/2 hours. 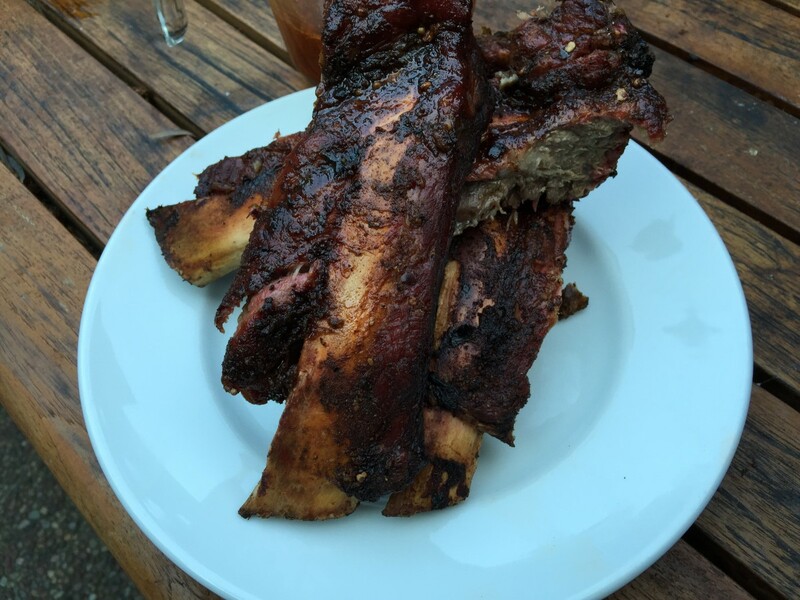 The ribs should draw back on the bone and when you bite them they will have a little chew. For fall off the bone beef ribs, smoke them for an additional 1/2 hour. 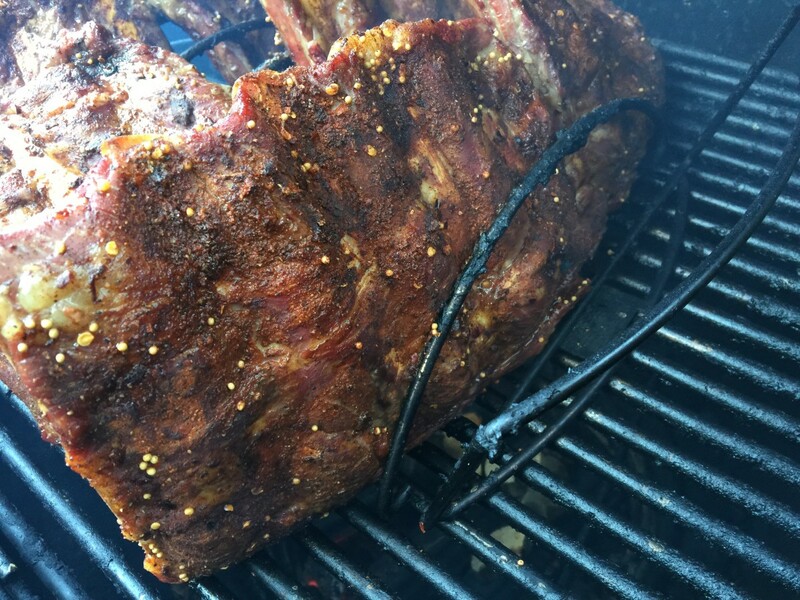 I love ribs with a little chew, so I tend to smoke them for 2 1/2 hours tops. 53 votes so far. Click a star to add your vote! 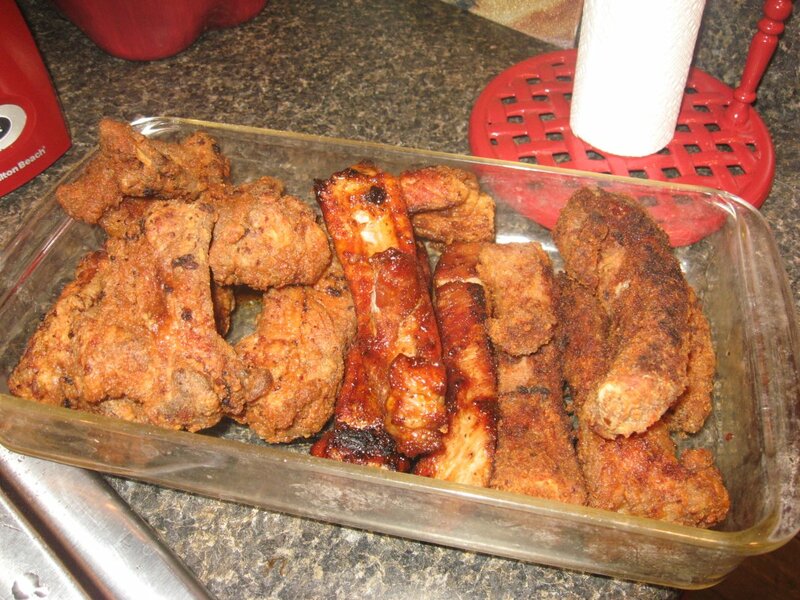 That dry rub sounds really flavorful and the vinegar would help to tenderize the ribs. Thanks for your recipe and instructions. Will have to give it a try! 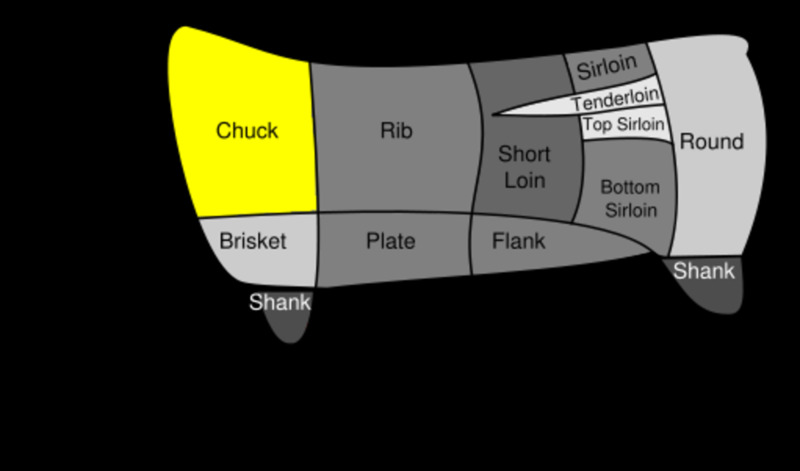 Holy Moses this sounds good, and I don't even eat beef. Wow! At home we use a little bit of Worcestershire in with our mop sauce. They always turn out delish! Looks just delicious. I'll have to give it a try. Now you're talkin', Paul. This beef ribs marinade seems delicious even though it contains everything but the kitchen sink. Thanks for sharing it. 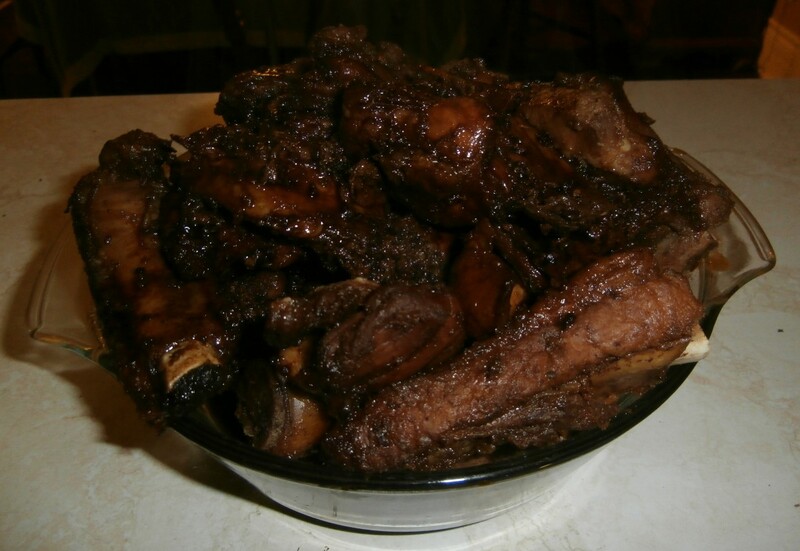 Beef ribs happen to be my second favorite meal after pork ribs so I will try it on both.